It will save a lot of frustration if we communicate regarding this listing before you book! 612 532 8934. 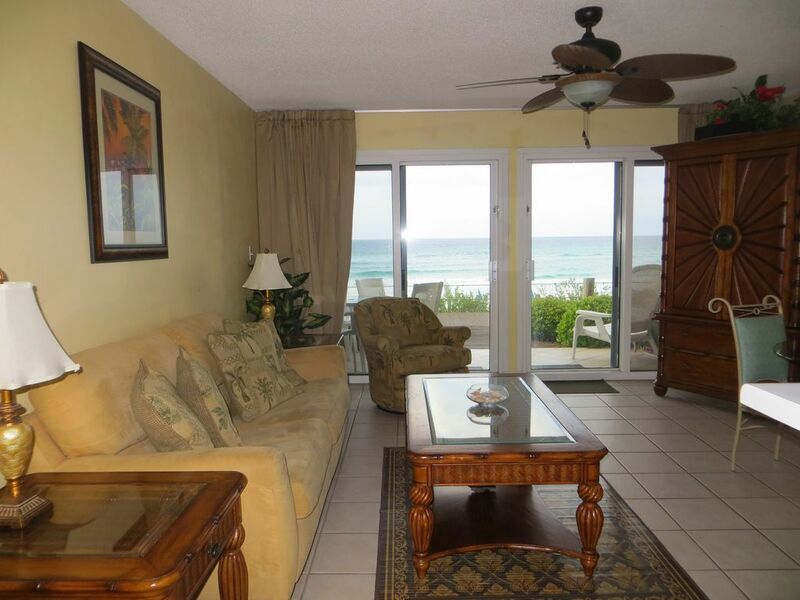 Sugar white sand and emerald green waters are right outside the door of this lovely oceanfront condo. 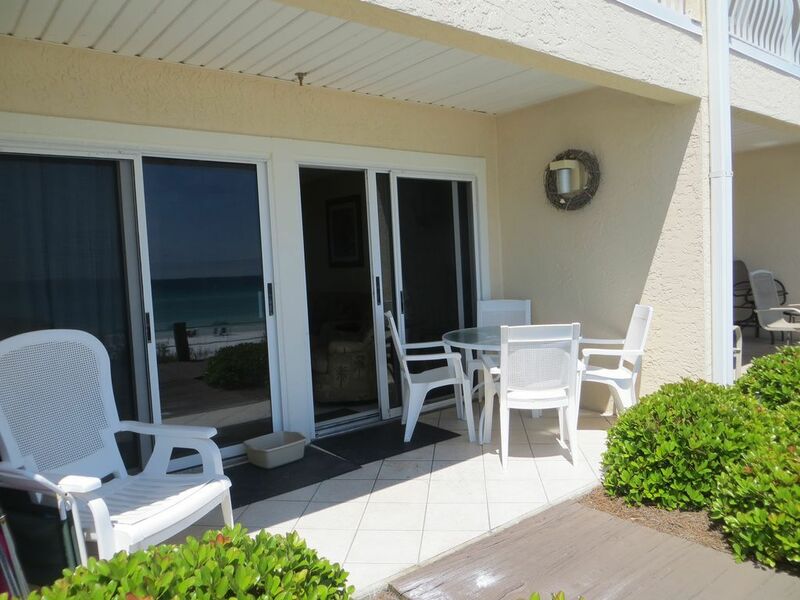 This ground floor, non-smoking unit walks out to a private tiled patio and boardwalk to the beach. 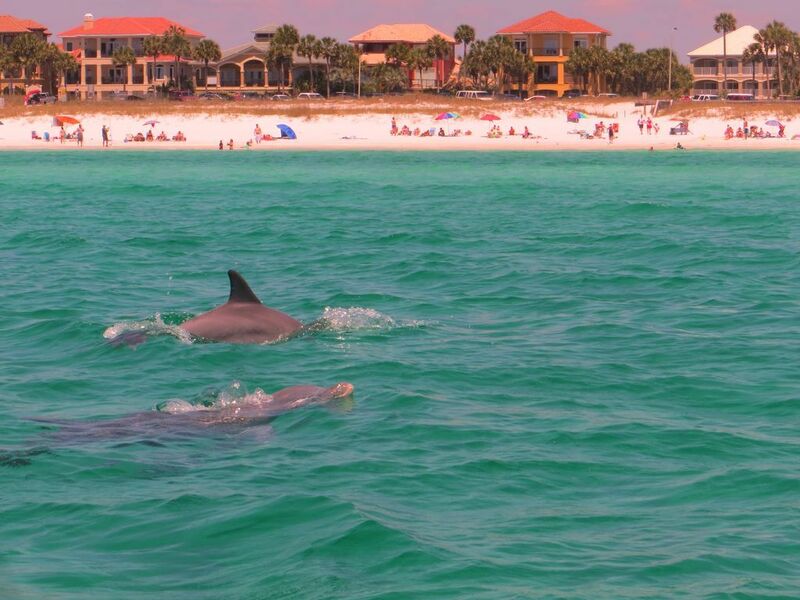 Sit on your patio, have breakfast and watch the dolphins frolic in the waves. 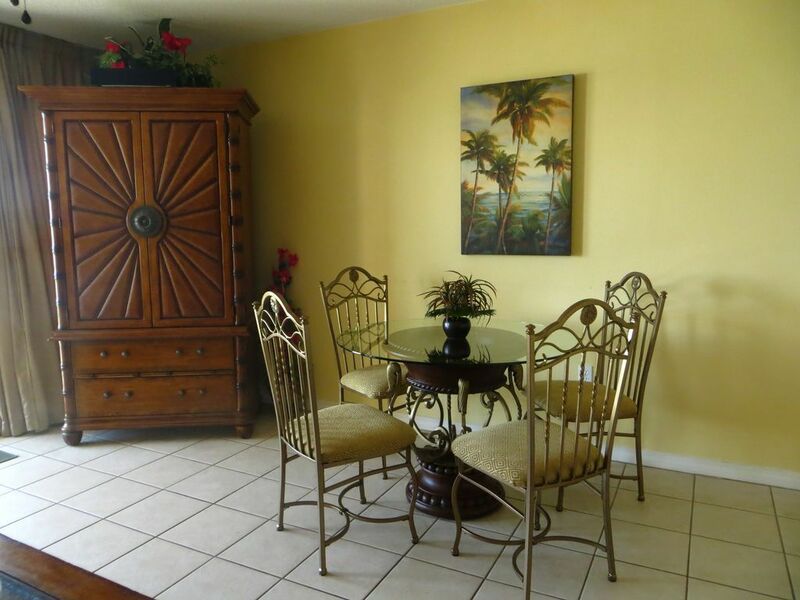 You will love the beautifully decorated Key West theme. 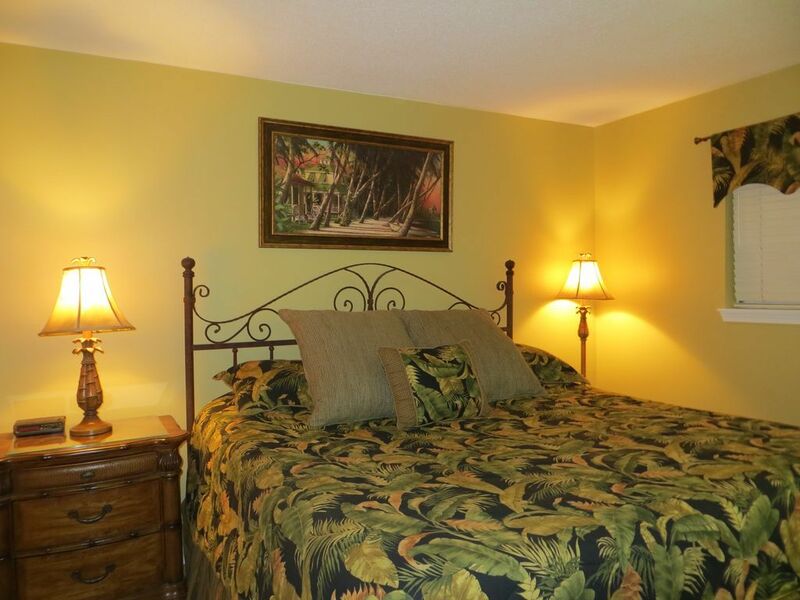 The master bedroom has a king size bed and TV with VCR and DVD player. 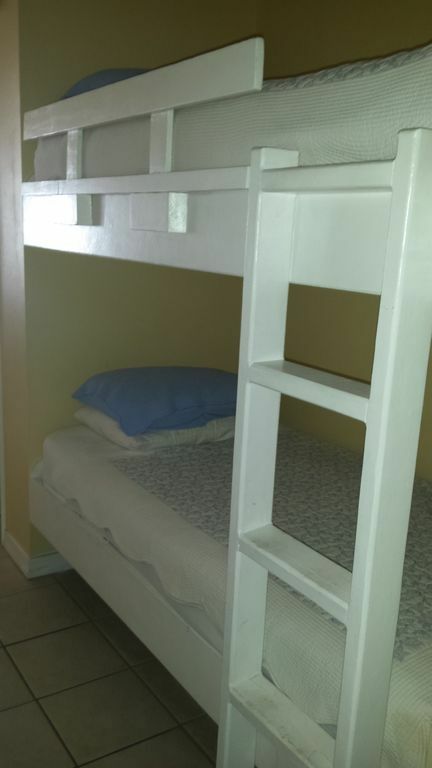 Crews quarters "(2 bunks) in the hall and sofa bed allow for sleeping for six. 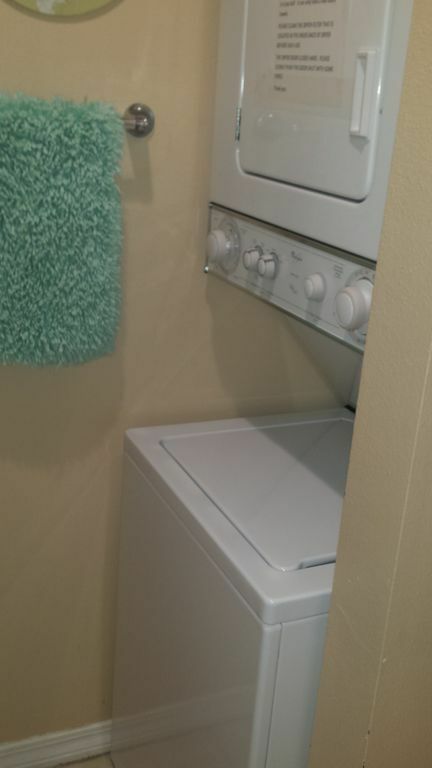 There are two bathrooms, a jetted tub and washer and dryer. The living room has a flat screen TV with surround sound, DVD and stereo. There is a dining table, breakfast bar area and a fully equipped kitchen to prepare your culinary delights! 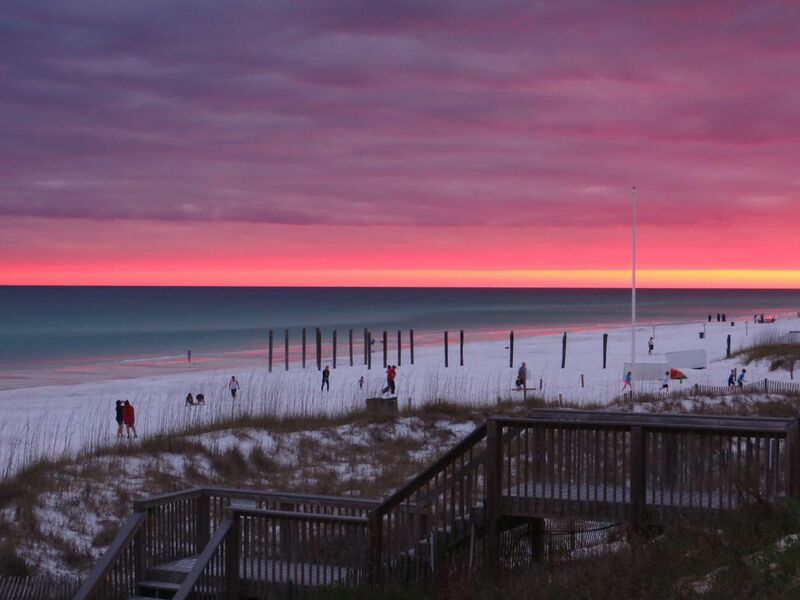 In the morning, take a quiet walk along the beach during sunrise. 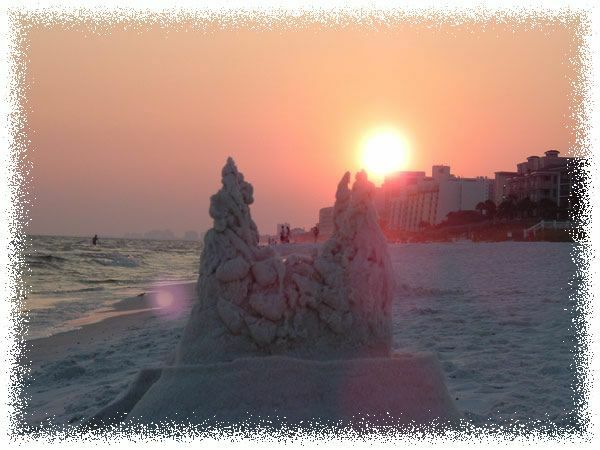 Later, build a sand castle with the prettiest, white sand you have ever seen. Shopping is very near by. 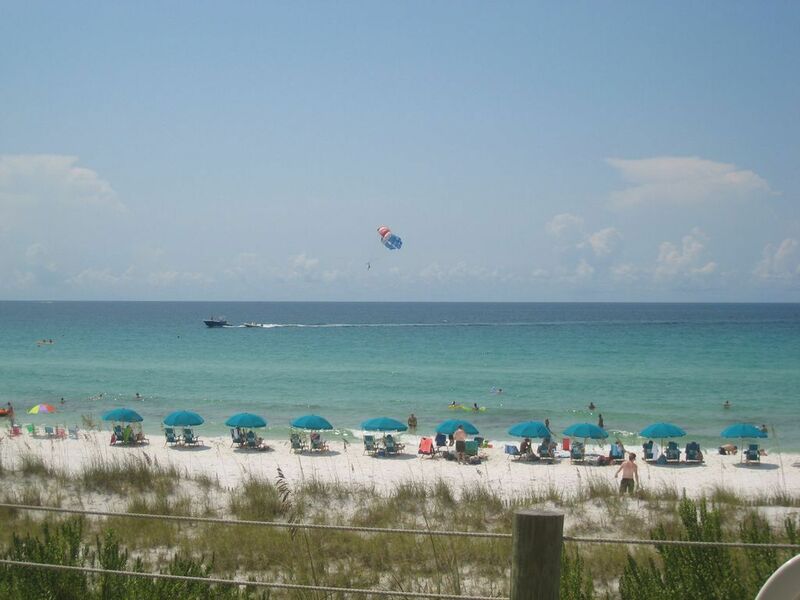 Destin Commons is almost within walking distance. Also, a waterpark, mini golf, movie theater, fishing, golf and many fabulous restaurants are very close. 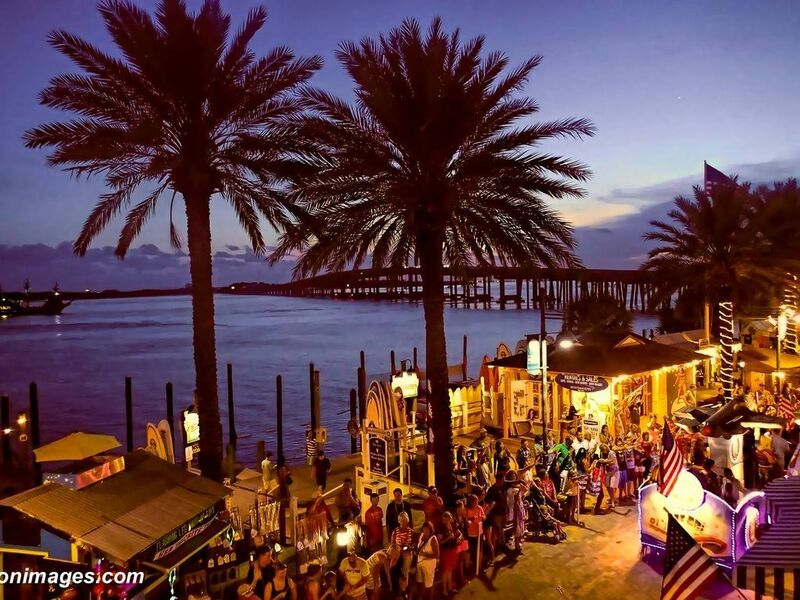 You can dine at a restaurant on the water or catch your own seafood on a deep sea fishing excursion and have it grilled for you or grill it at home! After dinner, take a swim in the pool or a quiet walk on the beach in the moonlight. This is paradise by the sea! 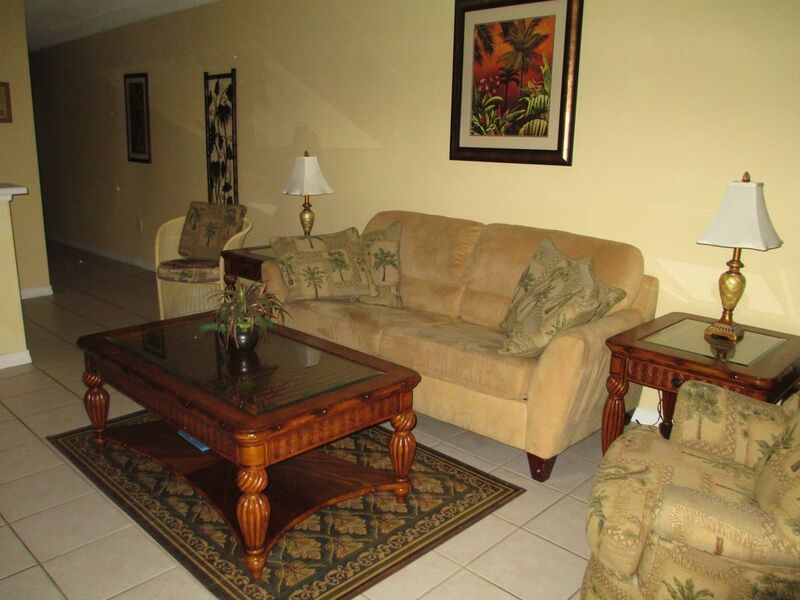 Free wifi is included and the first floor location is ideal for easy access to the beach, pool and parking lot. 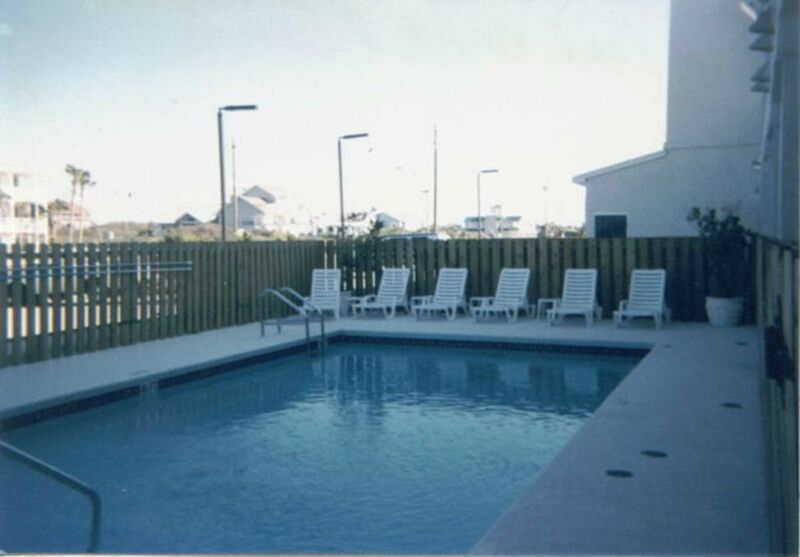 Beach chair set up included. .
More pictures are available at RentDestinFlorida dot com..
Generally bookings run from Saturday to Saturday during the summer. On occasion there may be an option for other time frames or lesser days required for booking. Please email for information. Price does not include cleaning fee. Great location! Had everything we needed to enjoy our week long stay! Just like home away from home! Hated to have to leave. Will definitely be back. Highly recommended! Absolutely loved the place as we have in the past. We have booked this room a few times now and am ready to book for the 2017 season already. Super owner and great to deal with. 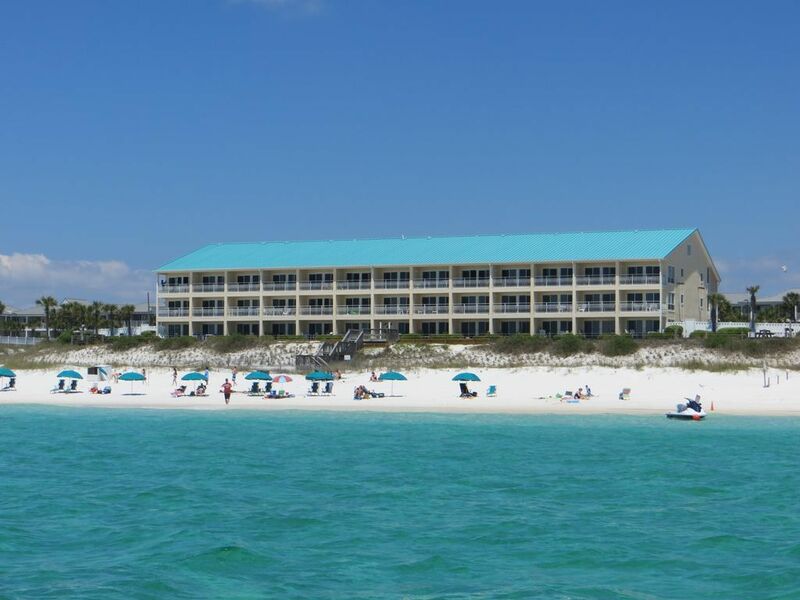 Will continue to book this room with the owner every year in the future we make it to Destin. 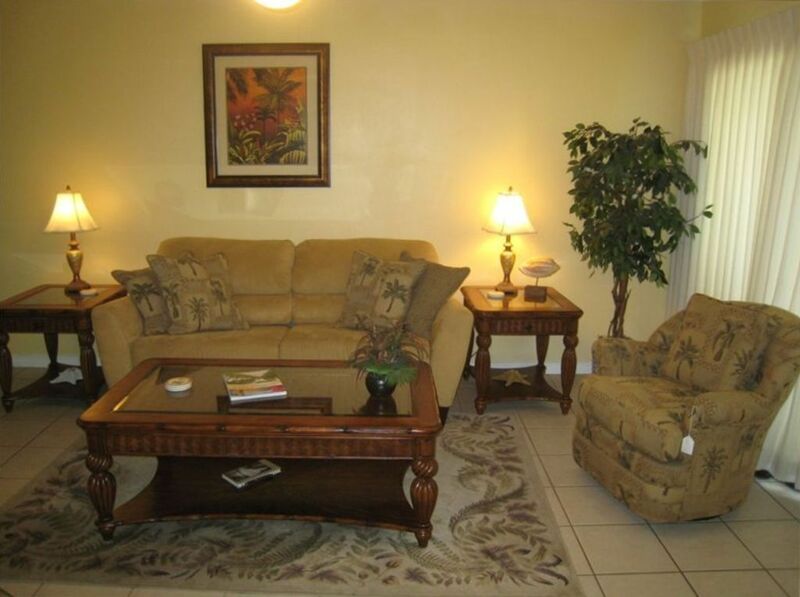 We had a great vacation at this condo, very accommodating for our family and clean. Stepped out right onto the patio overlooking the dunes with the beach right there. Thank you so much for allowing us to stay in your home. 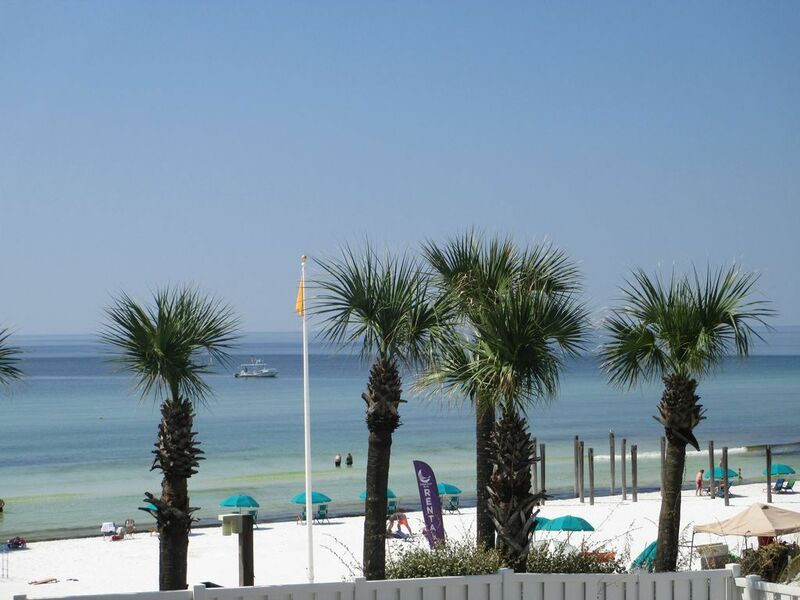 We had a great time enjoying the beach access right from the patio! So convenient! Water was beautiful and the perfect temp. The unit was very nicely appointed and decorated. Would highly recommend and will definitely be back! 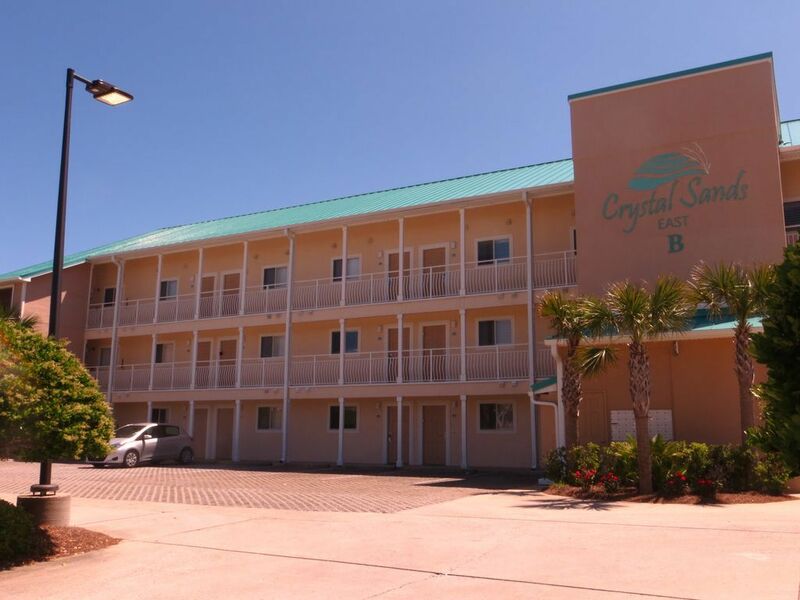 Modest changes could make this a 5-star! 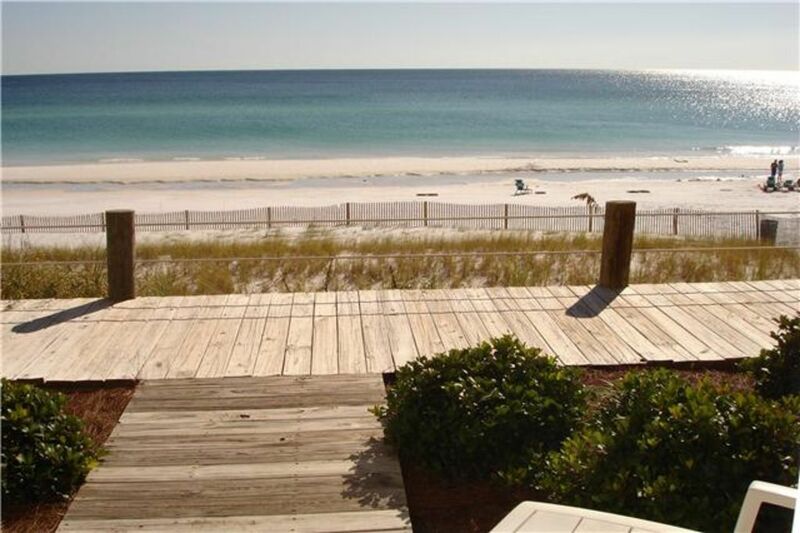 The location is gorgeous, but the apartment needs some minor modifications in order to make it a beach treasure. Worst of all is that there is no way to keep the doors (beachside) open during the evening/night with safety. A simple fix of sliding wrought iron or even safety brackets that extend to allow the door to stay open 3-4 inches would allow you to hear the surf and still feel safe. Other updating would be nice (clean comfortable futon to sleep in front area as opposed to the bunks) but all if that is secondary to being able to enjoy the sound if the ocean. If you don't care about that, though, it really is a beautiful beach - and so much nicer than the high rises. Another absolutely wonderful stay in your condo! It was just like arriving at our second home, totally comfortable. We both were instantly aware of the overall update of the unit. Well appointed, we cooked several meals in your kitchen. As always, we spent as much time as possible on the beach. Great walks in the sunshine on Christmas Day. As a matter of fact , several ! The only drawback , was having to leave. Thank you again for a wonderful stay!!! This vacation was awesome!!!! 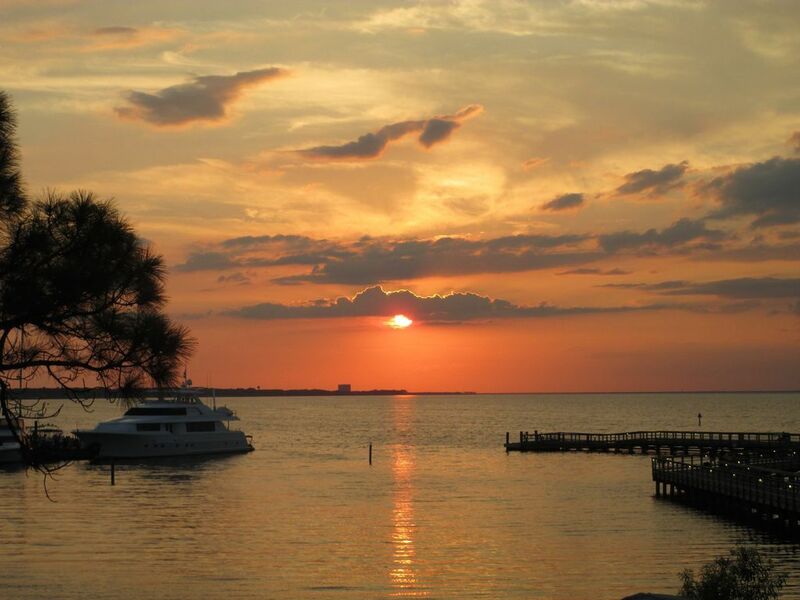 It is the perfect place to relax and enjoy all Destin has to offer. 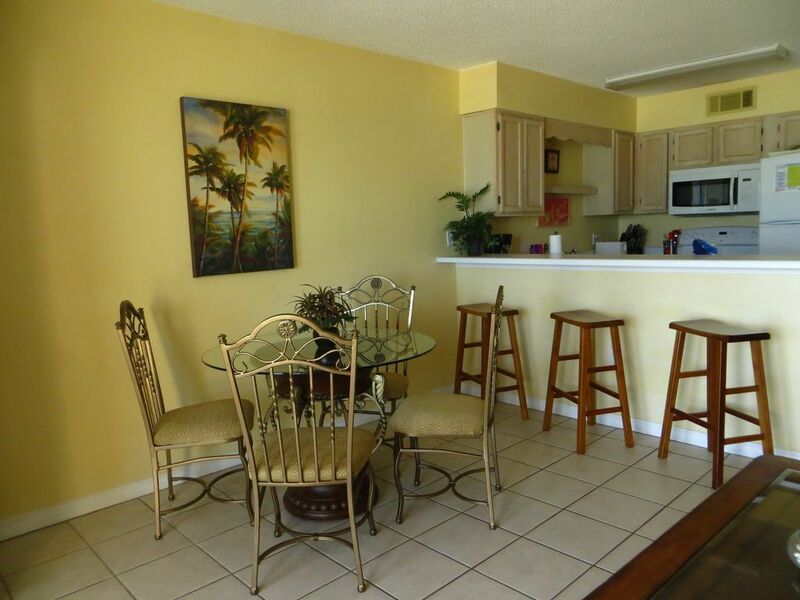 This condo was perfect for us, we wanted ground floor and close to the beach, this has both...the kitchen had everything you needed to prepare a meal. The king size bed was really comfortable. Loved this place and I do plan to return and I will recommend it to my family and friends...Thanks Ms Tami for everything!!!!! First off - that gorgeous view, and the beautiful white sand were amazing! 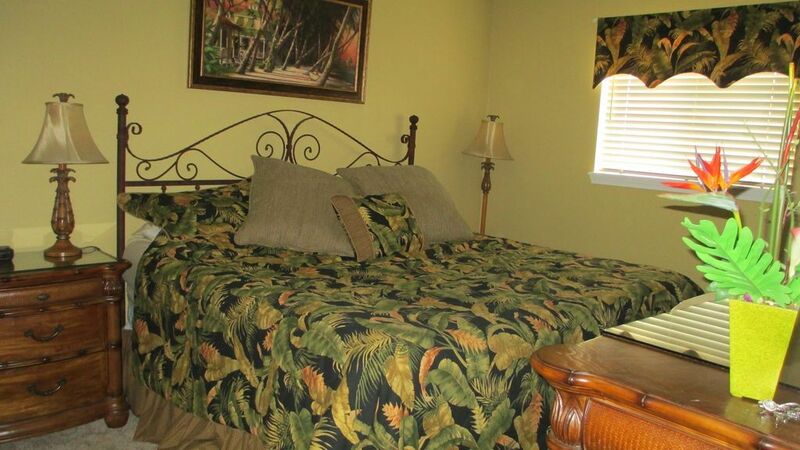 This condo was exactly what we were looking for. It was directly on the beach, & on the ground floor. Those two things were most important to us because we had our two year old grandson with us. He could go in for a nap when needed without everyone having to leave the beach, and we didn't have to worry about a balcony. The unit was exactly like it was described and all the pictures were accurate. 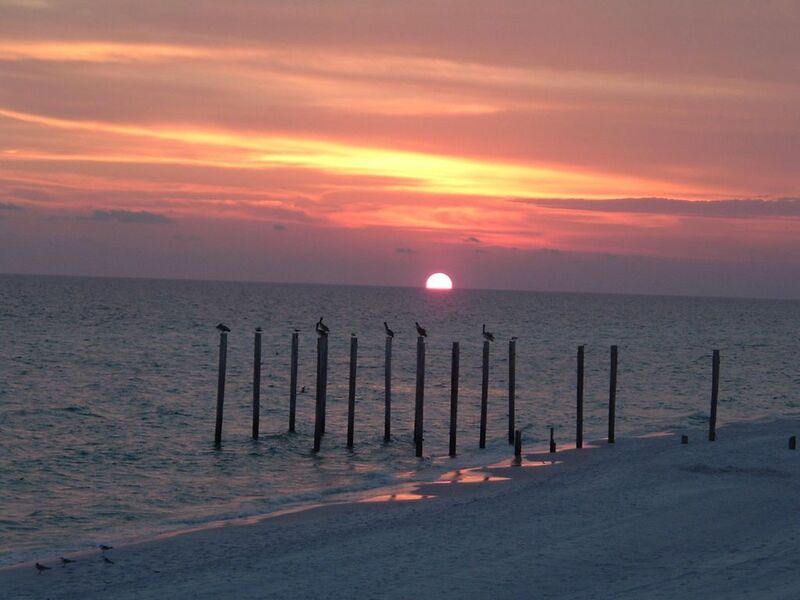 We liked that it was on the quieter end of Destin. Our daughter and her friend rented bicycles for the week and were able to explore and ride to many of the nearby shopping locations. Tami was great to deal with. She was very helpful and answered all of our questions. 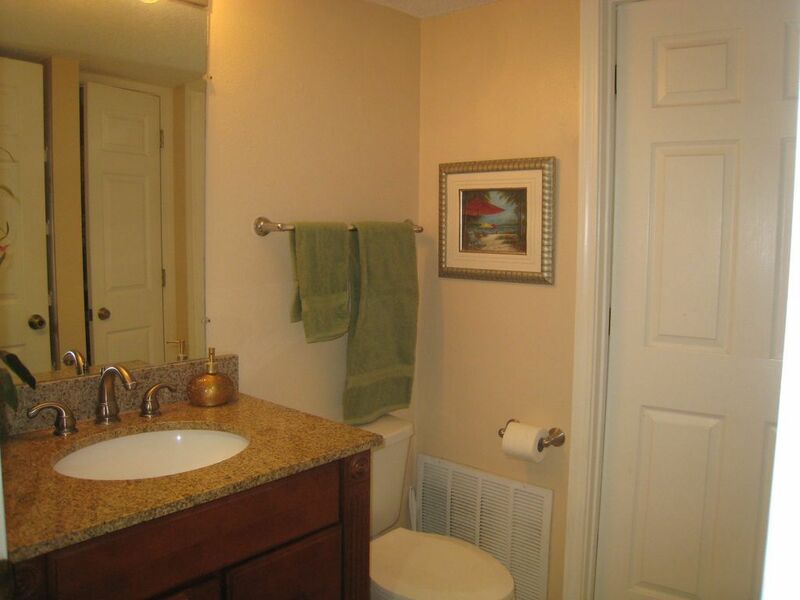 This was our first time using VRBO and it was a great experience. We won't hesitate to use it again. I would love to stay here again and have already recommended it to friends and family. Perfect place for a vacation at the beach! Everything from the up-scale furniture to the kitchen furnishings was perfect. Everything except the food, sunscreen and clothings was there. In a word -- Perfect! 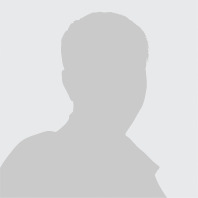 Tami Massee 6125328934 Show Phone No.